Mellow Monk customer Tristan served our tea at his undergraduate degree recital of experimental music at Oberlin Conservatory. His work, towards a degree in TIMARA (technology in music and related arts), was titled Accumulation 02. Your tea was an excellent thing for the audience to gather around before sitting down to listen to a minimal and meditative performance. It was also relevant for me to share along with my music because I definitely consumed a lot of Mellow Monk over the course of the composition process. 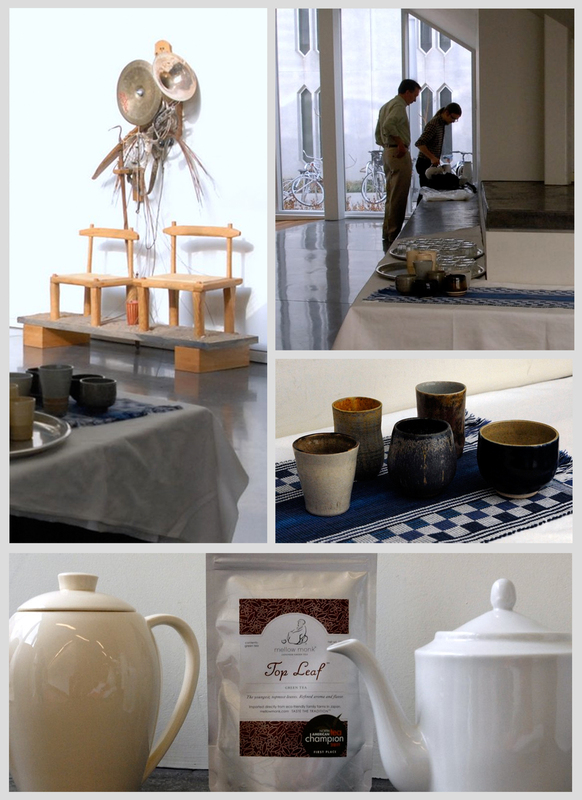 The ceramic mugs in which the tea was served were handmade by a close friend. The photo collage below conveys some of the wonderfully mellow atmosphere there. Congratulations on your recital, Tristan. Everyone at Mellow Monk is proud to have played our own small part in your work. Here is his Soundcloud page — a perfect soundtrack for relaxing with green tea.